Butterflies descend from my ceiling, my drapery wires, on the woodwork, and from my indoor Norfolk Pine tree? Why? It’s too cold for a Minnesotan like me to go outside. 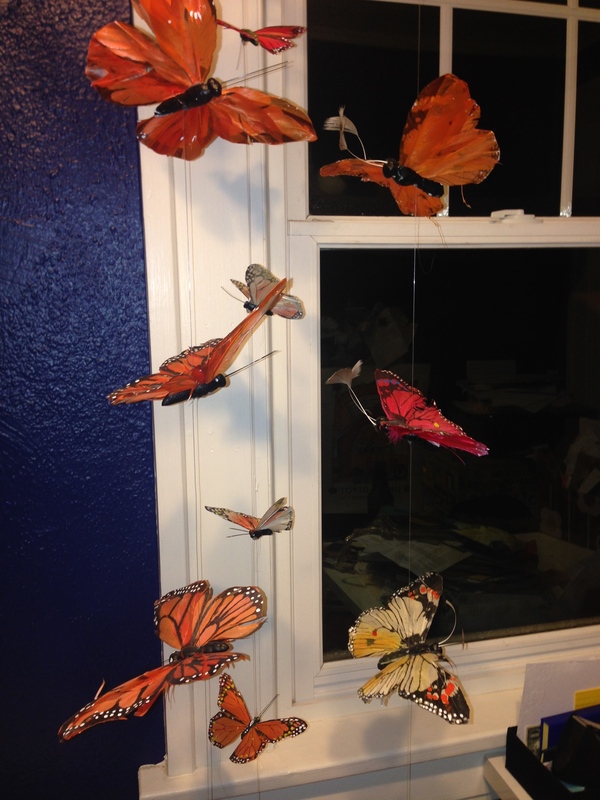 If it were 70 and sunny everyday, my office would still be half painted, the butterflies would still be in their boxes, and my creative strategy syllabus would be farther from completion. Extreme winters make us creative. 1. We’ll hear some amazing music over the next few months as Minnesotan musicians get creative with the cold. See today’s local Current blog for a complete list. 2. My office is gorgeous now. 3. Pasta Fazool, Pulled Pork (North Carolina style), Tomato Bisque soup, and Cream of (Minnesota) Wild Rice soup for the spontaneous neighborhood potluck. I can’t remember the last time I cooked anything that required 4+ hours of stock simmering. 4. Rotating hordes of school kids building forts in each other’s living rooms. All my massive dictionaries make wonderful blanket weights, after all. 5. 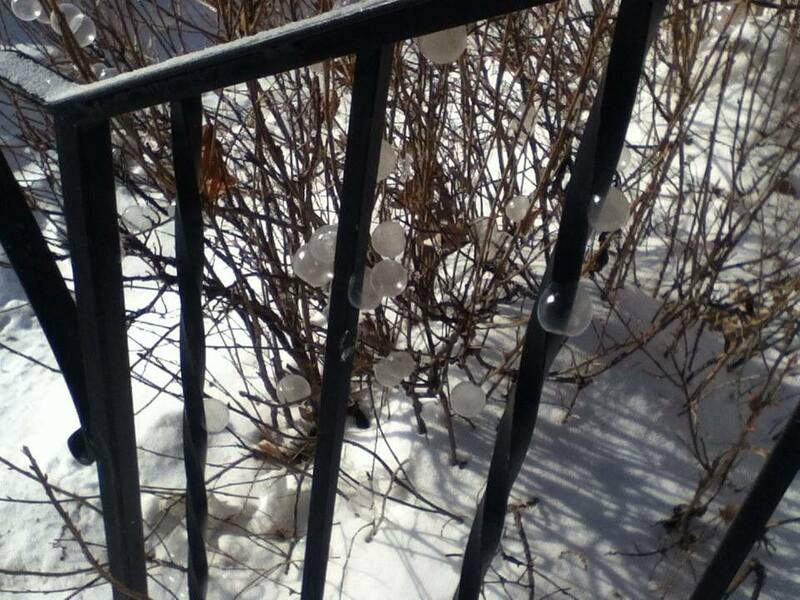 Freezing stuff — bubble bushes and ice globes. 6. Minnesotans always, always, always will have something non-political to talk about. 7. Every Christmas present is thoroughly played with. Every board game’s rules rewritten. 8. An extraordinary vocabulary to describe one simple word: cold. 9. October 2014 babies. Sorry, I couldn’t resist. 10. Emerald Ash Borer, R.I.P. 1. You own all the proper winter weather gear. This may include a parka,mukluks, a hat with ear flaps, and proper mittens. You don’ t care what you look like because at least you are warm. 6. If you have something warm to drink it makes you think that you are really warm. We all have supplies of hot coco, tea, and coffee to make when it gets frigid. Your mom also used to put in those little marshmallows when you were younger.